Hayabusa sit firmly at the top of the heap for companies that make the absolute best MMA gear out there. Period. In fact, you could argue that they are the best at what they do. With sprawling product ranges that include boxing gloves, MMA gloves, shin-pads, rash-guards, shorts, training bags, BJJ gi’s, BJJ belts and many more, Hayabusa have the market cornered. Every time they release an excellent product, and they do so often, they then use that success and experience to make the product even better than before. Hayabusa aren’t ones to sit on their laurels and dine out on past successes. They are absolutely relentless in truly mastering the art of making the best MMA gear out there. Everything they make is of the highest quality. Whether it’s a BJJ belt or a brand new boxing glove, nothing is left to chance and every ounce of will and energy is poured into make the product as perfect as it can be in every area. Function, comfort, aesthetics, etc. Nothing is forgotten. This same dogged, driven attitude to making the best products really shrines in their range of excellent BJJ gi’s. Their range of gi’s, like their ranges of everything else, is vast and all-encompassing with many different options to suit people of all needs, wants, shapes and sizes. We’ve managed to narrow it down to what we believe are the best gi’s they’ve produced at their relevant price points. But with the amount of quality that Hayabusa put out, pretty much every gi they sell is amazing and a worthwhile addition to your no-doubt ever-growing gi wardrobe. This is one of Hayabusa’s budget, entry-level gi’s that you might be shocked to hear that. It looks absolutely nothing like the cheap, basic gi’s that you’re used to seeing online and in stores. Hayabusa have managed to take basically a premium level gi and sell it at a budget price point. The first thing that stands out is how great it looks. This is a really stunning gi that manages to perfectly strike the balance between style and traditionalism. In fact, you could go so far as to say that this gi looks like the natural evolution of the more traditional look you’d expect from brands like Fuji and Atama. It’s available in all the main adult sizes and in four different colours. The usual white, blue and black are there in all their glory as well as a fantastic steel-grey colour. Even the most traditional of BJJ trainers cannot deny just how great the grey gi looks with it’s understand, minimalist grey/silver colour with white accents/logos. If you’re after a gi that’s a little bit different and special but without having to adorn yourself in every colour of the rainbow, then this gi might be right up your street. The jacket is constructed with 420 GSM pearl weave cotton with reinforced lapels and other stress areas. It is exceedingly rare that to find a pearl weave cotton jacket for such a low price. For 420 GSM pearl weave, you’re normally looking at the premium brands and a far bigger dent on your wallet. Hayabusa have the fantastic knack of taking a product that looks fairly standard and adding their own subtle touches to make it really come to life. Here, they’ve taken a standard gi and just ramped it up ever so slightly to really make it stand out and come into it’s own. The patches far more vibrant and richer than the usual gi’s but without seeming over the top or too out there. They add just enough embellishments to give the gi some character whilst allowing it to retain it’s sleek and smooth look. It is both pre-washed and pre-shrunk to make it far easier to find the size to fit you, though as always expect some amount of shrinking. But with such a small amount of shrinkage, you can most likely just buy whatever size you normally buy or what Hayabusa’s handy size chart tells you to buy. It’s available in sizes from as low as A0 up to A5 for the bigger guys in the gym. With this size range, you’ll no doubt be able to find the size that fits you perfectly, no compromise. 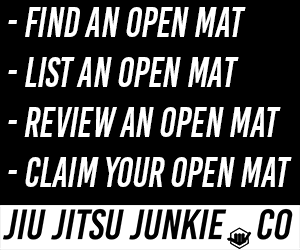 Despite the slightly updated patches, you competitors out there will be happy to know that this gi is 100% IBJJF certified so you can rock your new gi on the mats and bring home the gold. With such high quality in literally everything that they produce, you might be wondering how Hayabusa can take things to the next level with their premium level of items. Well, it turns out that Hayabusa still have plenty left in the tank to really create some truly spectacular gear. One such spectacular piece of gear is this gi. The Goorudo is one of Hayabusa’s top of the range gi’s and it definitely earns it’s place there. It features a 550 GSM gold weave jacket. Gold weaves are a hybrid weave somewhere between single and double weave. With gold, you get the best of both world without any of the cons. You get the cool, lighter fabric of a single leave but with the extreme durability that comes with the thicker double weave styles. They’re not quite as light as the more common pearl weave but if you’re concerned about durability of the fabric, then gold weave is the best you can get without overheating in a double weave jacket. One of the biggest features of this gi is the comfort. 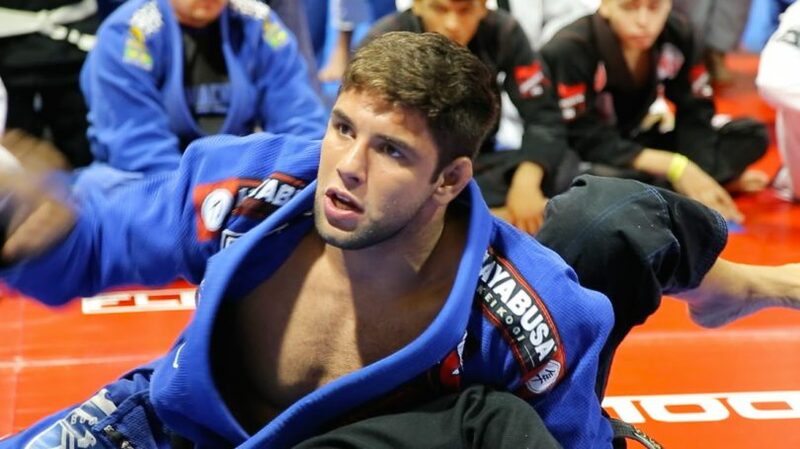 Hayabusa love to make sure that there gi is as comfortable as it can possibly be. You’d be surprised at how many companies completely discount comfort and just pour all their energy into looks or toughness. It seems that Hayabusa is one of the few companies that can do it all. They even state that the feeling of putting this gi is second to none. The perfect combination between softness and weight.